There are similar styles of tribal jewellery to be found all over the world, but this particular necklace is inspired by Ancient British Tribal influences. Their reverence for nature, the hunter-gatherers, the guardians of the land and the seasons, and all the colour and vibrancy therein. Shaped with leaves, that could also be seen as arrowheads, made with SuperDuo beads, along with Czechmates Tile beads, and sparkling firepolish crystal beads. 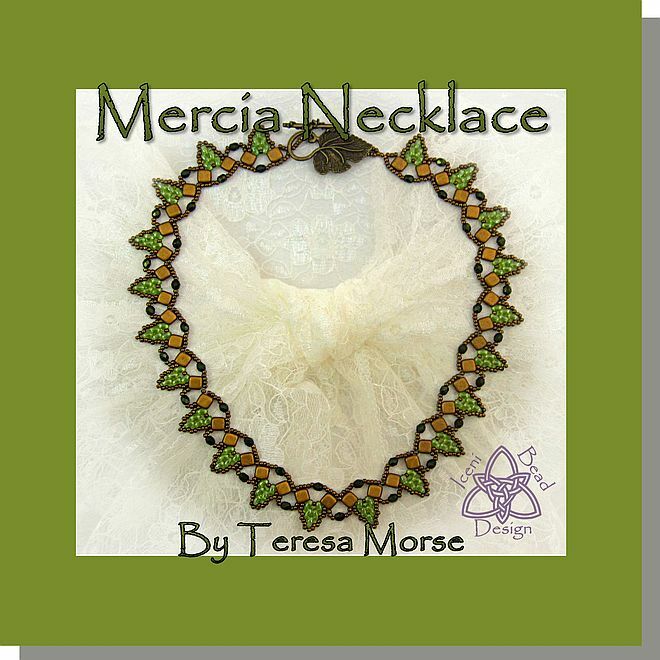 Filled with clear step-by-step instructions and plentiful diagrams, you will find this necklace easy to make to whichever length and colour combination you desire. Size 11 or 12 beading needle.